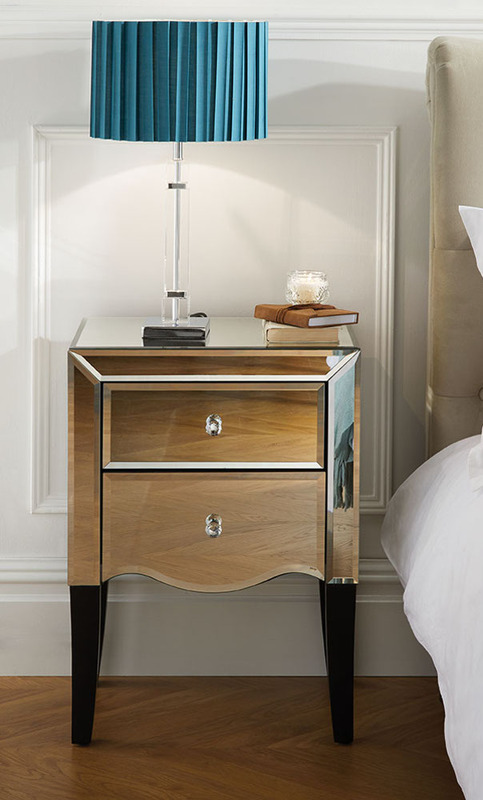 The Palermo 2 Drawer Bedside is a stunning piece of essential bedroom furniture with a touch of class. 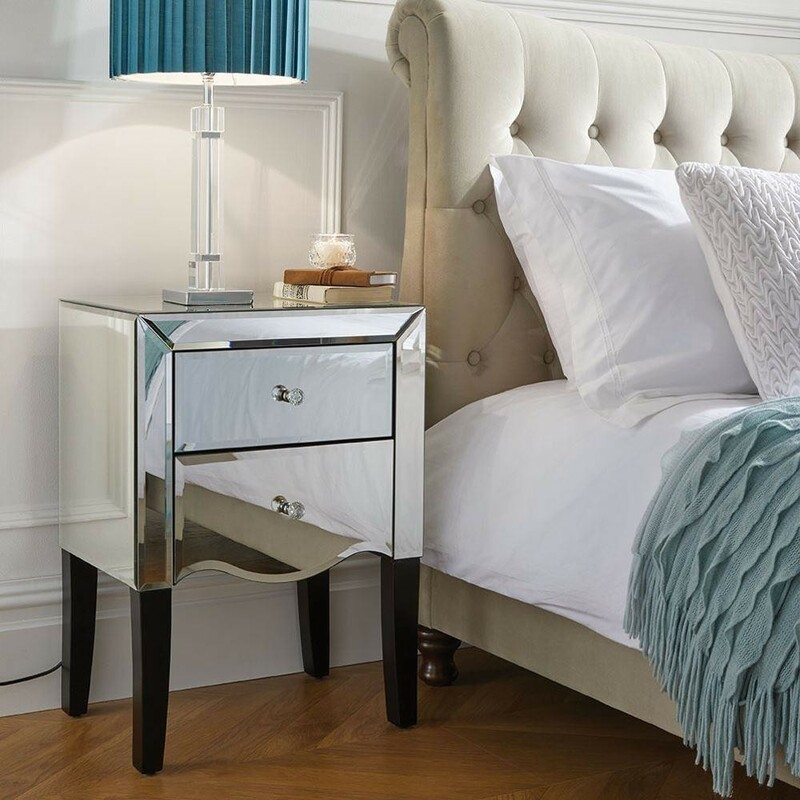 Transform your room into a glamourous boudoir achieved thanks to the mirrored finish, completed with the bevelled edges and mock crystal handles. There are 2 very useful drawers and stunning tapered legs that add to the elegance of this piece of furniture. Our Copenhagen Warm Stone Fabric Scroll Sleigh Bed is showing on the images which if available for purchase separately. The Palermo 2 Drawer Bedside arrives pre-assembled for your convenience. As soon as it arrives it's ready to be positioned next to the bed and used immediately. The materials used in the construction of the Palermo 2 Drawer Bedside are all high quality. The MDF frame is protected and given strength by the addition of the mirrored finish with bevelled edges. It's strong, sturdy and beautiful! The top of the Palermo 2 Drawer Bedside is perfect for placing your bedside lamp, book, mobile and any other bedside essentials you require. The addition of the 2 drawers helps to keep the room organised and tidy, maintaining the elegance of the room by eliminating as much clutter as possible. The drawers are perfect for storing charges, books, creams, glasses and any other items that you need to keep at arm's reach. Access the drawers using the elegant mock crystal handles - oh la la! 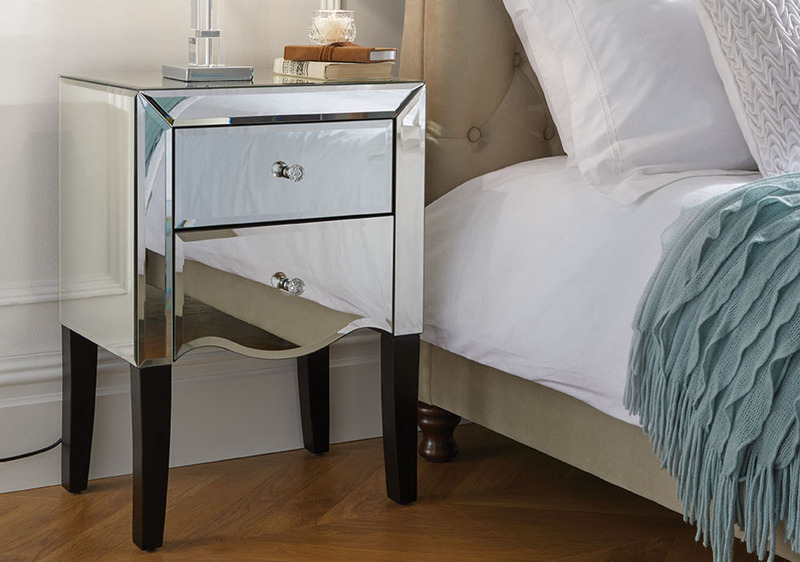 The Palermo 2 Drawer Bedside is part of the stunning and top-quality Palermo Mirrored Bedroom Furniture Collection. 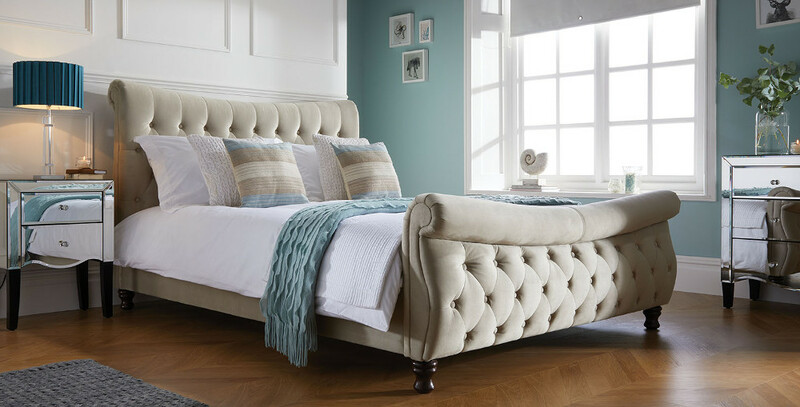 Create an elegant and stylish bedroom by mixing and matching pieces from this exciting range. The Palermo 2 Drawer Bedside is suitable for teenagers and adults alike, anyone looking to create a high-end look and feel to their bedroom. The Palermo 2 Drawer Bedside is an essential piece of bedroom furniture that's been given a designer's touch.